Description: I was honored to be a part of Margie Deeb’s book, ”The Beader’s Color Palette”. My Pinwheel Garden necklace appears on the title page and I created an original necklace, Minoan Spirals (on page 40), just for this book. 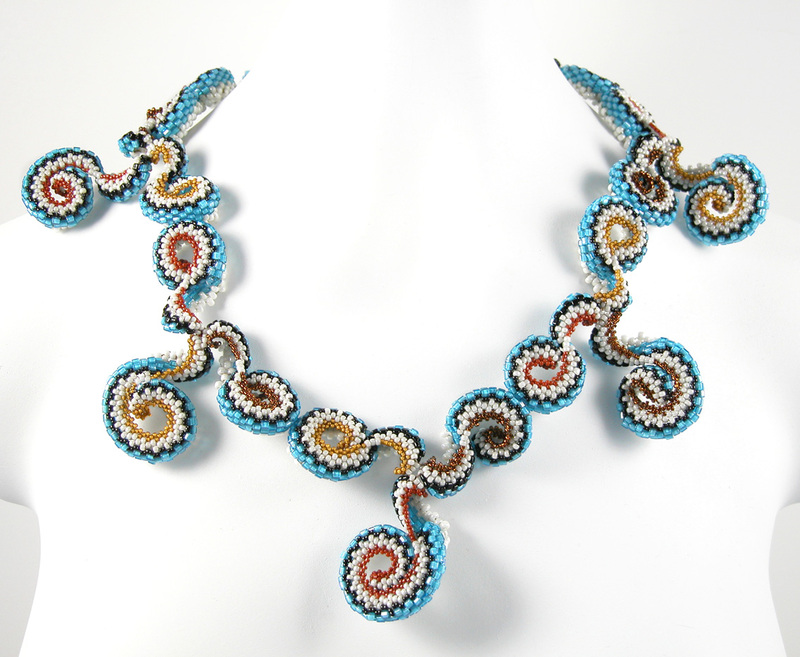 Margie gave me a palette from a Minoan mosaic and I created a necklace using these colors. It was quite a challenge!